Frankenstein is an online video slot game that was developed by Net Entertainment, licensed by Universal Studios and released in 2011. This online video slot game is available on a mobile platform where it is compatible with the leading operating systems. It is also available to be played in demo mode. Frankenstein is played on five reels with three rows and twenty selectable pay lines. The betting options vary with the betting levels per pay line being anything from one to five coins. There are six values per coin that run from 0.01 up to the maximum of 0.50. The betting options are adjusted by clicking on the appropriate buttons displayed below the reels but a max bet button will automatically set five coins on all of the pay lines at the desired coin value. Clicking on the green spin function button will start the reels spinning but it may also be clicked on to stop the reels manually without having to wait for them to stop. 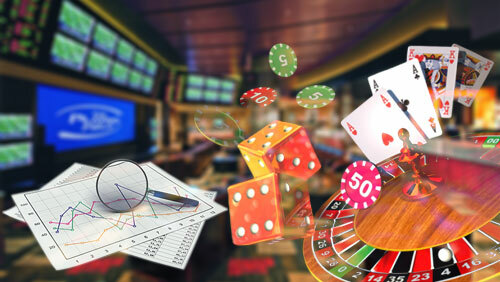 The auto play may be enabled to automatically spin the reels consecutively without interruptions but the same bet will be in play for all of the automatic spins. These may be set to stop for certain instances occurring during game play. The Frankenstein theme is, as the title states, based on the old classic horror about a deranged doctor who creates a misunderstood monster in an attempt to create life. The visual setting and background music is ominous and creates the atmosphere for the theme. The doctors lab is in an ancient castle which is the background setting for the online video slot game’s reels. The symbols on the reels include Dr Frankenstein himself; his assistant; his monster; a brain and playing card symbols nine to ace. There are two wild symbols on the Frankenstein reels that each function as standard wilds where they replace regular symbols and form winning combinations where possible but they are also linked wilds and each have their own respective feature. The lightening wilds appear on reels two, three and four only but turn at least two adjacent symbols into wilds. The fire wilds only appear on reels two, three and four but only during the free spins feature. They too will turn two or more adjacent symbols into wilds. The Frankenstein scatter symbols are represented by the burning mills and need to appear at least three times to trigger the free spins feature. Ten free spins are awarded but another two or more burning mills landing during a free spin will award a minimum of five free spins. The fifth reel may land a special multiplier symbol during the free spins feature. This symbol will award a multiplier that increases by one increment up to 5x every time it appears on the fifth reel. Every free spin also guarantees that a fire wild symbol will appear to assist on forming winning combinations and turn at least two additional symbols wild.